Once again Atlantis Water Park wins Best Wellness title • BTC d.d. 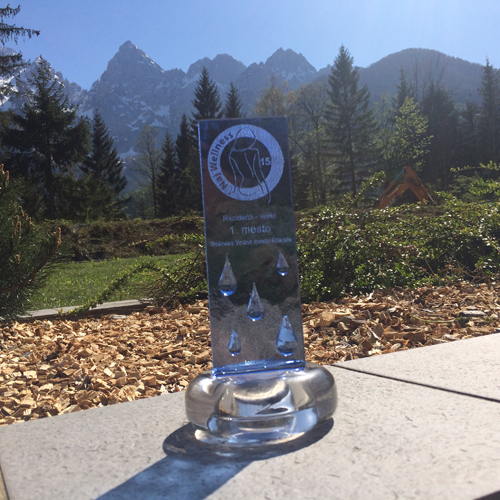 On April 20th, Hotel Špik in Kranjska Gora hosted the gala event at which the titles to the best in their field were awarded to the best ski resorts, snow parks, and most family-friendly ski resorts. For a 2nd year in a row the most popular foreign ski resorts in the opinion of Slovenian skiers were also announced. First places went to the ski resorts Vogel, Golte, and RTC Trije kralji in the category of Slovenian ski resorts, and to Nassfeld in the category of foreign ski resorts. At the same time, Hotel Špik also hosted the announcement of the most popular wellness centres. In different categories, the titles of the “best” went to Wellness Orhidelia, Wellness Paradiso, Wellness centre Victoria, Atlantis Water Park, and Wellness Korošec. The youngest “category” under the supervision of the editorial team of the TV show “Dobro jutro, Slovenija” is the “Best Wellness” selection, which was this year already the 8th in the row, as fans of wellness services cast over 15,000 votes in this category. The main goal of the selection was to give the broader public as much information as possible about the healthy way of living and at the same time represent the actual offer of Slovenian wellness centres. The selection encourages healthy competitiveness among the centres, which results in an increase of the quality of their services. This year, wellness centres were divided into five categories. The first place in the category of “big residents”, the same as for the last couple of years, went to the Wellness centre of Atlantis Water Park, which was followed by Wellness Harmonija and Wellness centre Galactica. In the category of “small residents”, the winner was Wellness centre Victoria from Ljubljana, followed by Oaza miru from Maribor, and Fanči from Ljubljana. The winner in the category Tourism – small was Wellness Paradiso, followed by Vitarium from Šmarješke toplice and Wellness centre Špik from Kranjska Gora. Wellness Orhidelia from the Olimia spa resort was once again crowned the “Best Wellness” in the category of large spa centres, followed by Balnea from Dolenjske Toplice, and Wellness Spa Center, Thermana Laško. In this year’s newly added category – Rural wellness centres – victory went to Wellness Korošec from Mozirje, followed by the wellness centre at the Tourist farm Urška from Zreče and Wellness Lara from Jelenov greben.